Walking away from something can be one of the hardest things we do. This is also true when it comes to our businesses. 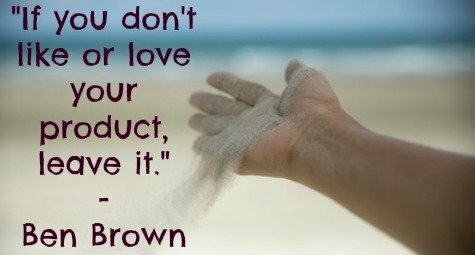 But, if you don’t like or love your product, it’s time to walk away from it. The fact that you no longer like or love your product may be costing you to lose sales. Our lives aren’t the same as the way were 15, 10 and even 5 years ago. As we grow and experience life, we learn more about ourselves. We become more self-aware and as business owners we may find, the product we are selling does not interest us anymore. You may have started the business to earn extra income, or because your friend or family member told you it was a great idea. But, is this what you really want to be doing with your life?